Jenkins is a Continuous Integration and automation server. It is an open-source and a web-based application written in Java, which can be installed on any platform that supports the Java Runtime. With the addition of hundreds of plugins Jenkins can be used to automate Continuous Integration tasks for many programming languages. Here at it Matters Games we are using Jenkins to automatically build all of our Unity3D based game projects and the Doxygen code documentation. Even for smaller companies and projects you can’t neglect the advantage of having a centralized place to keep all your build configurations, automate your builds and tests, and store all build results. In this post I will describe what hardware you need, how to set up a so called Jenkins Master Server and how to run your first build job for a Unity3D project. Even if you can install Jenkins on a Windows or Linux machine, I recommend using OS X. You should install a fast hard drive, e.g. an SSD. Make sure your master has enough storage; we are using a minimum of 512GB to be able to store all build job workspaces and the build artifacts. 8GB of memory should be enough for building Unity3D projects. You need at least OS X 10.8; we were unable to install the latest version of Jenkins on an older version of OS X. Older versions do not support the latest Java SDK. If your are targeting the latest iOS Version 10.3 you will need to install OS X 10.12 (Sierra) anyways. It might be reasonable to use a so called Hackintosh (a regular PC with OS X installed). Jenkins and Unity3D work absolutely fine on a Hackintosh (Details on how to set up a Hackintosh can be found here). However, please note that installing OS X an a different computer than a Mac violates the Apple terms of condition. After finishing installing Jenkins you can open http://localhost:8080 in Safari. Unfortunately, as we are going to use Jenkins with Unity3D we have to change the out of the box Jenkins setup. Unity3D needs to be started with a user that has access to the OS X windowserver. To be able to do so, Jenkins has to run as a LaunchAgent with a logged-in user. sudo chown -R your_logged_in_username . As it seems, this step has to be repeated every time you update the major version of OS X. Now Jenkins should be running using your logged-in user which has access to the windowserver. Open http://localhost:8080 in Safari. 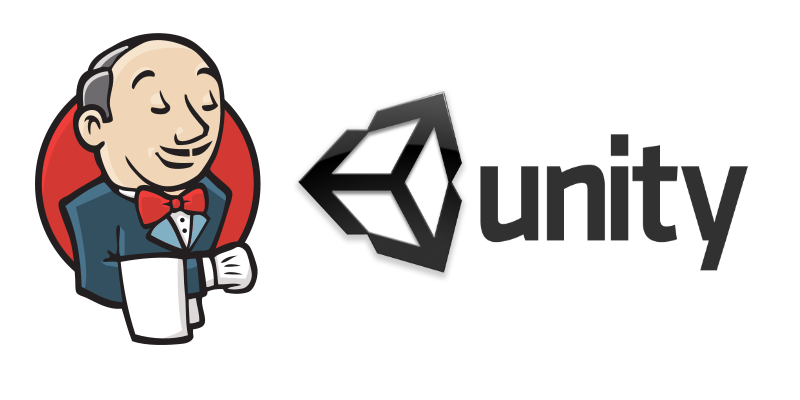 You’ll need to install the Unity3d plugin to be able to perform Unity3D builds with Jenkins. This plugin makes it very easy to use Unity3D installations as a build step in Jenkins jobs. Inside Jenkins go to Manage Jenkins → Manage Plugins → Available. Search for “Unity” and install the resulting plugin. As we are already here, we should install some more useful plugins. Your Unity3D installation should be set up correctly on each Jenkins instance. For example if you target Android platforms you should install the latest Android SDK and point the Unity3D Editor to it. If you target iOS platforms, then Xcode should be installed properly. Once everything is in place, you have to add your Unity3D installation to Jenkins. In Jenkins go to Manage Jenkins → Configure System. The Unity3D Jenkins plugin has added a new tool entry to Jenkins. Add a new Unity3D installation which points to your Unity3D Editor location in OS X Applications. Now that you have everything set up and in place it is time to create your first build job. In the Jenkins sidebar click on New Item. Select Freestyle Project and give the job a name. A page opens with your jobs configuration. The first thing to do is to set up your source code management. If you are using a SVN enter the repository URL and your SVN credentials. We had some trouble checking out from SVN repositories that included externals. For some reason adding the same credentials twice as additional credentials resolved the issue. You might run into some trouble if your Git repositories are using sub-modules. Due to an issue in the Git plugin, credentials are not forwarded when pulling sub-modules. There is a way of logging into your Git remote server using a ssh connection with a private/public key. But this will be the topic of a future post. Save the job configuration. Now it’s time to run your first build job: just click the Build Now button in the jobs sidebar. Jenkins will now check out your projects source code from the configured SCM repository. After that the Unity command line is executed. If your PerformBuild method is set up correctly you will get the build artifacts inside the job’s workspace. You now have a Jenkins master server up and running. The server starts automatically when the Mac starts up and the user logs in. You should automate that process using e.g. “wake on lan” or something like that. The default OS X user should also log in automatically. In the next part of this series I’m going to describe how to build iOS projects that will create an ipa package which can be directly deployed onto a device, to Testflight or to the Apple App Store.